I walked out into the desert and laid down upon a bolder. The rock's radiating heat warmed my soul. I became my brother the lizard, peering downward upon the valley floor. I heard the cry of an eagle, my spirit soared skyward beyond the mesa toward the sun. I was free, one with nature and the earth below. 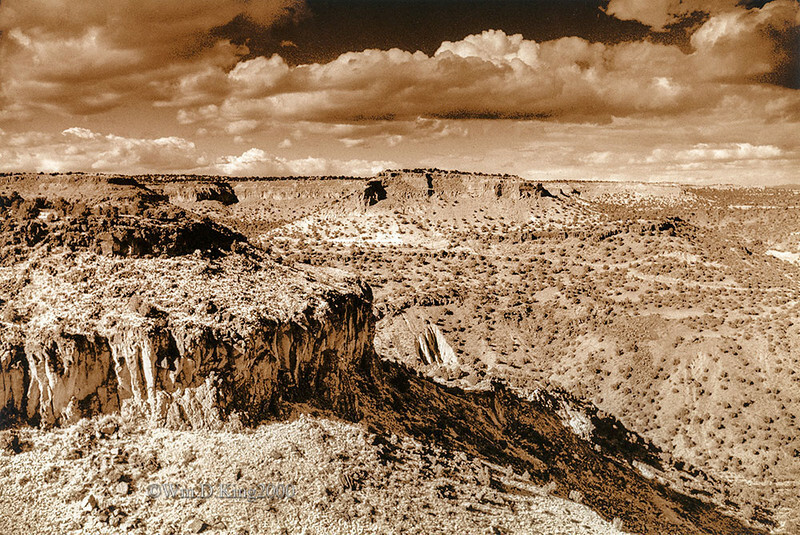 White Rock, New Mexico.